mommy's reviews: Horseback Riding Anyone??? Growing up, I lived in a huge farmhouse. There was a large barn and several buildings on the property as well, but my parents were not farmers. We only had barn cats and a few dogs but no real farm animals. I have always admired horses for their strong builds, majestic airs about them and for their unique personalities. I think if I had a horse growing up I would have had a better appreciation for them today...but I honestly am a bit scared of them. It is probably because they are so big...but the thing about most horses (that I have heard) is that they are big but very gentle. I know this is true, but I am always afraid of getting run over by one when I see one running. 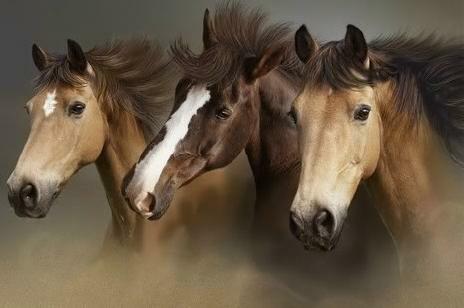 I have known so many people who are just in love with horses and it's no wonder why. My cousin has always been into horseback riding and has been in countless shows with them. Professionally speaking I have lost track of where she is today but I know her love for her horses is undying. I have another friend with whom I worked and her daughter also was very much into training, riding and caring for horses. She worked at a shop that sold horse riding gear and other tack...and she was very good at what she did there. If I had a horse, I would want to get information from someone who was proficient and knowledgeable about horses...like her. When a person is serious-minded about horseback riding, they almost always look into getting equestrian clothing. This not only helps with making them look professional, but it also helps to streamline their bodies and creates less friction in the wind. I have seen some pretty awesome looking equestrian outfits and find that they do sharpen up just about anyone's "look" while on a horse.